Now that we are about to enter August, the summer will be winding down. We are approaching the end of the summer months and soon we will be missing this beautiful warm weather! Take advantage of this month and get out and about before there is a chill in the air! Whether you are going out with your whole family, friends, a date, or even just yourself, make the most of these sunny days and check out one of these great events! 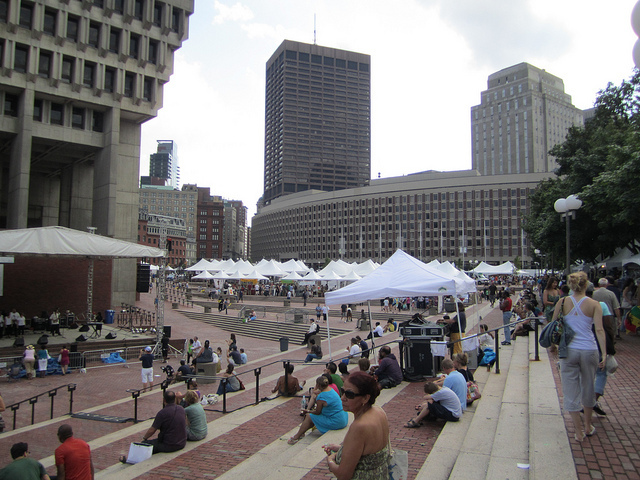 Boston GreenFest – From August 16-19 Boston’s City Hall Plaza will host the region’s largest multicultural environmental festival, Boston GreenFest. The event aims at celebrating the many ways we can create a better world by going green in our lives and communities. There will be concerts, exhibitors, eco-friendly fashion, eco-art on exhibit and for sale, speakers and presentations, film festivals, food, and so much more! Kids will especially love the performances by Disney stars Olivia Holt and Dylan Riley Snyder from Kickin’ It on Saturday, August 18 from 11:30 AM-12:30 PM. Saint Anthony’s Feast – Who doesn’t love to feast? This month stop by Saint Anthony’s Feast in Boston’s historic North End, the streets will be lined with push cart vendors offering everything from authentic Italian food to games. There is also a stage set up with continuous live music so even when you are roaming the streets you will be entertained. Chefs from local restaurants will set up shop at the culinary pavillion where they will be showing off their skills to the crowd and a piazza will be set up so that guests can enjoy pasta, pizza, and beer imported from Italy. The feast is in honor of St. Anthony of Padua and Saint Lucia, patron saint of the blind. One of the main events takes place on Sunday and features a parade through the streets where the main focus is a statue of St. Anthony being carried down Endicott, Thacher, and North Margin Street. This event begins Friday, August 24 and ends Monday, August 27. Free Fun Fridays – Free Fun Fridays is an amazing program sponsored by the Highland Street Foundation which supports local non-profit institutions. Every Friday from June-August there is FREE admission to many museums, landmarks, theaters, and local attractions. Coming up this Friday anyone can get into the Museum of Fine Arts, Norman Rockwell Museum, Amelia Park Children’s Museum, Fuller Craft Museum, and the Arnold Arboretum totally free. There are no restrictions on age or location unless otherwise specified by the vendor. This is an amazing value and the perfect reason to get out of the house whether ou are on a budget or not! Upcoming museums that will be offering free entry this month include the Cape Cod Children’s Museum, Fruitlands Museum, Concord Museum, USS Constitution Museum, Old Sturbridge Village, the Basketball Hall of Fame, JFK Library and Museum, and the Discovery Museums. Check out their website for more information on FAQ’s and a complete listing of events. Rick Springfield at the Hatch Shell – Everyone knows the classic hit Jessie’s Girl, now here’s your chance to see Rick Springfield perform it live for free! We can’t guarantee he’ll be singing that song, but it’s a pretty safe bet if we had to guess. Rick Springfield is one of the many acts performing this summer in the Hatch Shell’s Summer Concert Series. He will be taking the stage this Saturday, August 4. The concert begins at 7 PM with an opening act and comes to an end at 9:30 PM. This event is sure to draw a crowd, and should be especially popular with classic rock and General Hospital fans so be sure to get there early! Family Film Festival – The Family Film Festival being sponsored by Magic 106.7 will be closing out the summer with three more family friendly movies showing on the South Garden at the Prudential Center. This coming Saturday, August 4 The Muppets will be playing, followed by Cars 2 the following Saturday, August 11, and will close out with a showing of Happy Feet 2 Saturday, August 18. This event is perfect for families and kids will love watching a movie under the stars. It also benefits a great cause, at each movie the nonprofit organization Cradles to Crayons will be collecting new and gently-used children’s clothing as well as new arts and crafts supplies. Entertainment will begin before the movie at 6 PM and the film will begin at sunset. So step out and enjoy some of these FREE events before the summer ends! All events are family friendly and have something for guests of every age. Beat The Summer Heat And Keep Your Car Cool With These Awesome Accessories!